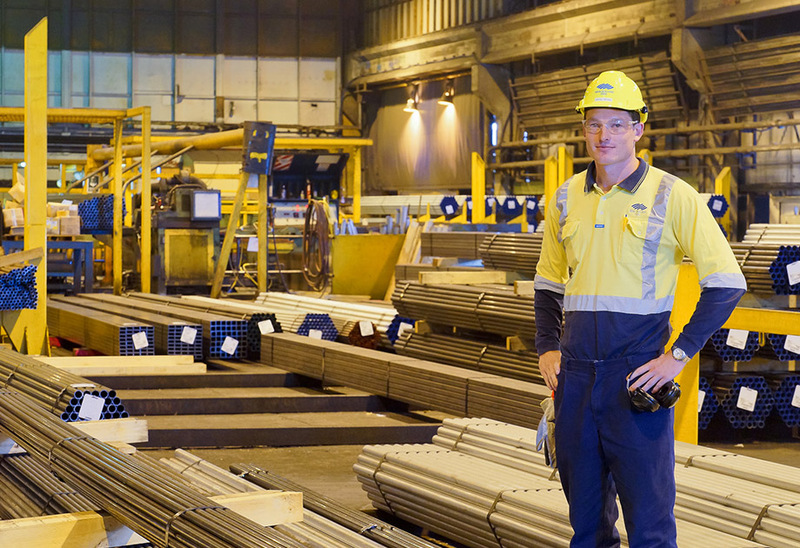 At New Zealand Steel we see our people as our strength and we have an ongoing commitment to providing an environment where you will be able to meet and exceed your career aspirations. Calling all Engineering Graduates! 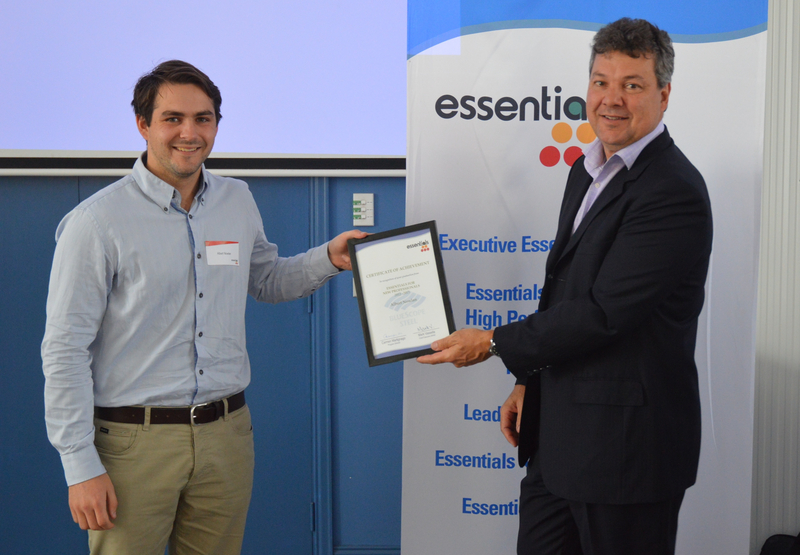 Did you specialise in Mechanical, Electrical, Mechatronics or Chemical & Materials? Are you looking for an exciting role in a unique, innovative and dynamic Steel and Mining organisation? Applications for our 2019 Graduate Programme open 1 June 2018... watch this space! We operate a fully integrated Steel Mill, south of Auckland, processing local raw materials of iron sand and coal into a range of flat steel products for both the domestic and export markets. We have positions for Process, Production, Mechanical and Electrical Engineers who are after practical hands-on experience not just an office based role. We also have the advantage of being the biggest single site employer in New Zealand; therefore can offer a range of engineering opportunities across varied industrial processes. From day one you will have a role with real career prospects, real responsibilities, and real opportunities to apply your degree, and you'll receive 'technical on-the-job' training to ensure you have the skills you need to realise your full potential. New Zealand Steel provides its graduates with a wide variety of challenging activities; we believe in giving you the broadest experience possible so you can gain a working knowledge in a number of areas. We provide a three year graduate programme, consisting of three unique one year placements across our varied operational mills. This gives you a comprehensive overview of engineering across diverse processes and is a great opportunity to discover what pathway you would like to pursue. Each rotation is catered specifically to your development needs. Ensuring you are able to get the best experience will mean an entirely different role, and will see you introduced to different people, processes, challenges and successes. Although it is a three year programme, there are opportunities to step up into a role. Health & Safety Representative Training and more! You will also attend the New Professionals Programme which is a career development programme that runs over a two year period with four individual models. 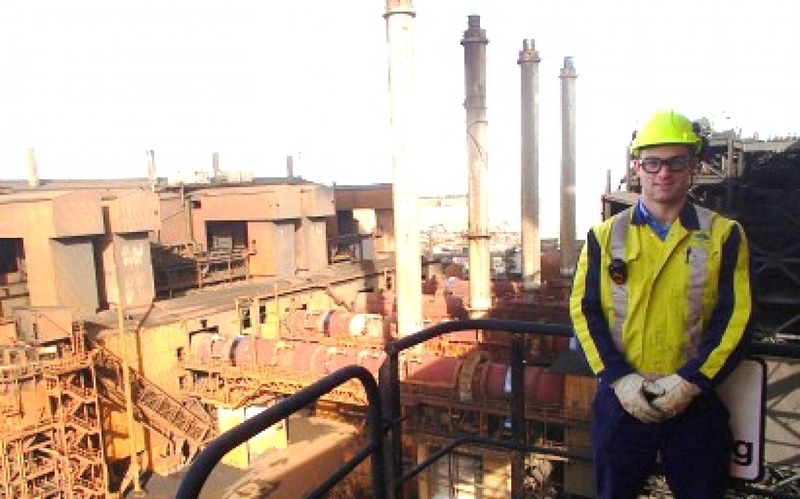 The programme is held in Port Kembla, Sydney and you will travel over twice a year with your graduate peers to meet up with graduates and cadets from BlueScope Australia. The concept of the programme is to ensure you are able to get the best start in your profession by building on your current skills set and developing you into a future leader. This also gives you a chance to build relationships, get exposure to a global corporation and most of all have fun while doing so! Module 1: Communication and Professional Acumen The aim of module 1 is to equip participants with the skills and understanding required to effectively communicate both verbally and in writing. A review of business results and the way an individual employee can influence outcome is also included. Module 2: Project Management & Teamwork The aim of Module 2 is to equip participants with the skills and understanding required to participate and develop high performance teams, with particular emphasis on project management context. The aim of Module 3 is to focus on skills and knowledge essential for developing effective relationships in the workplace and managing careers. Module 4: Peak Performance The aim of Module 4 is to focus on self-knowledge and self-management, essential for ongoing and professional development. Each module occurs once every six months over a period of two years and looks to develop core competencies for a successful career. In a nutshell: Keeping the machines that turn sand into iron from breaking. This involves monitoring their condition, developing maintenance strategies and designing upgrades. Why? It's exciting working in a heavy industry environment with big machines and rewarding seeing one of my solutions being used to improve the plant. I'm part of a three-person reliability team. We share our ideas and knowledge and work as part of the iron plant maintenance group. Every day is different as no two projects are the same. In the past few months I've done custom design work, plant work, computer programming, number crunching, visits to offsite workshops and even a bit of night shift. As a young engineer, I was eager to start testing my skills on projects but instead my manager gave me little jobs which seemed a bit basic. However, they introduced me to problems, strategies, knowledge and people's roles that I hadn't realised existed. During my first project I overcame many of the problems I encountered using skills I developed in those early tasks. I travel to Australia twice a year as part of our graduate professional development programme. We're a big international business and opportunities to travel and work overseas come up often. My job would suit someone who enjoys the theoretical side of engineering but doesn't want to spend all day sitting behind a desk. Strong people skills and an ability to think outside the box are key qualities. There are a couple of paths I could follow. The first is to pursue a design engineering role where I could take control of large, complex design projects. The second would be to climb the management ladder and focus more on leading teams rather than core design work. In a nutshell: Assessing operations in a production plant to help improve efficiency, product quality and safety. Why? The most rewarding aspects of my job are working with a variety of people and being in the plant learning how things are made. 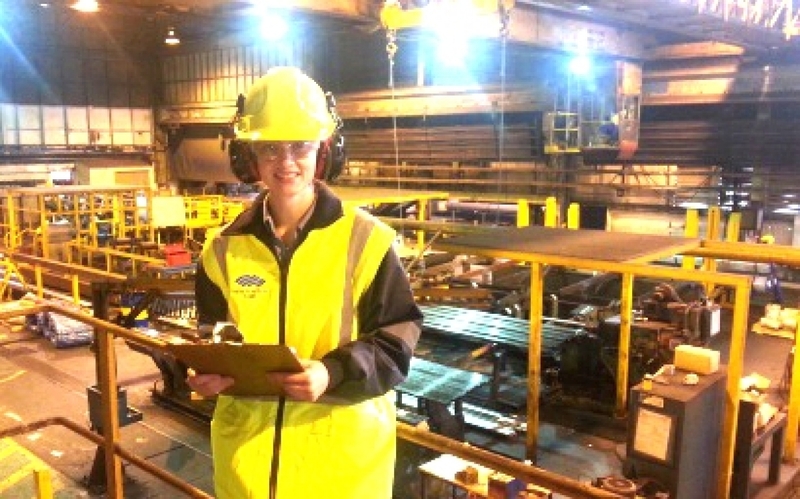 I go into the plants to observe processes, speak to operators and carry out audits. I analyse material and energy use, organise product trials and review procedures to ensure they meet international standards. I also meet with people from the computer services, marketing and logistics departments as we're all concerned with plant processes. I'm coordinating a floor space improvement project at one of the finishing plants (where the steel is turned into a specific product or sheet size). My job is to look at all the processes to see if we can organise them better and hopefully reduce waste and save time. Improving plant efficiency means that we're also minimising our impact on the environment. A team player, with great communication, organisational and leadership skills would enjoy this role. From this role I can move on to working as a plant process engineer with a focus on production, or a process design engineer designing and commissioning new plant equipment or processes.